Manufacturer of a wide range of products which include fancy waistcoat, ethnic jacket suit, fancy jacket suit and kids waistcoat suit. 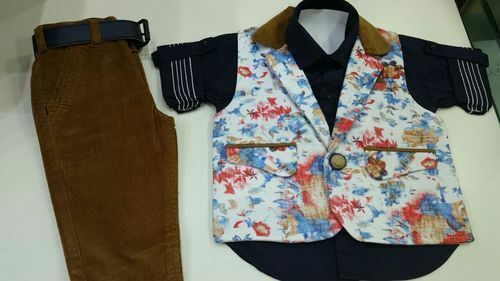 This Baba Suit comprises of cotton full sleeves shirt, summer jacket, and jeans pant made of 100% cotton, skin-friendly materials, and long lasting fabric with fine stitches. This is used for all season. The Subtle look and premium makes it favourite dress for boys. This Subtle suit is for all season wear for kids. We have several colours available in this item. Its Simplicity and nice fabrics cause’s high demand among the Traders, Retailers, Exporters. Packaging Details: 16x18--one cartoon = 6 pcs. ; 20x30-one cartoon 6 pcs. ; 32x34- one cartoon 6 pcs. 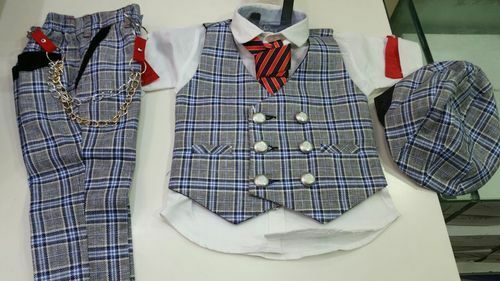 We are a highly prominent firm engaged in the provision of premium quality Kids Waistcoat Suit.Take a look at this marooned Colored half sleeve set, which is designed to make your little one look absolutely cute and fashionable. 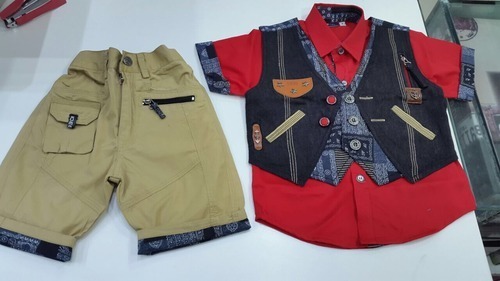 This regular-fit half length set for boys from cotton shirt and a fabulous waistcoatk and half pant. Moreover this half-lenth set is light in weight and comfortable to wear. 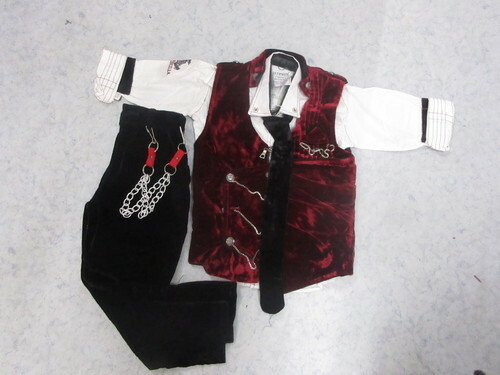 Looking for “Kids Waistcoat Suit”?